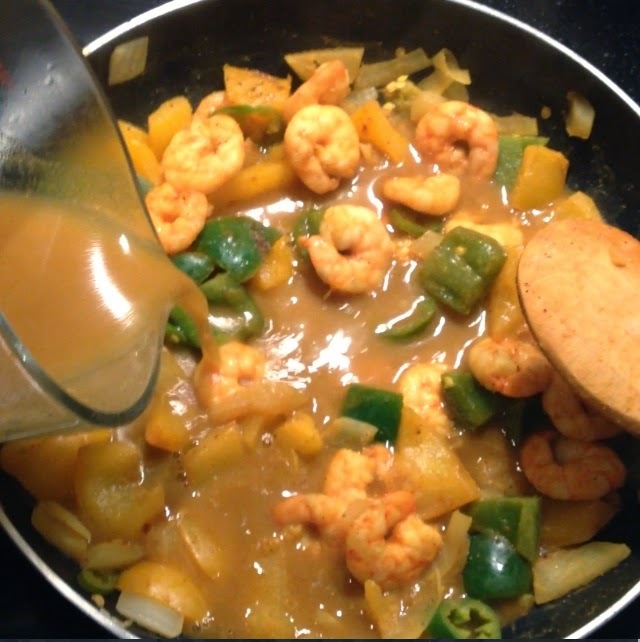 Thought I’d share with you what I made for dinner last night, now I know I did a similar recipe to this before you can check it out here and because I love this soo much I’ve decided to make it again with a few tweaks to make it simpler and spicier for those pepper lovers. 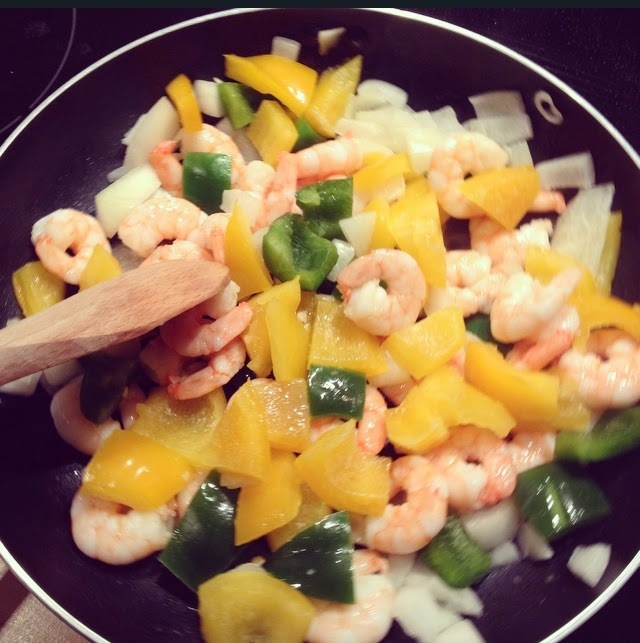 Dice onions, peppers and chilli, In a heated pan sprinkle 2 tablespoons of oil then add your peppers onions & prawns. Sprinkle half a lime for flavour & light soy sauce. Then add your chilli & a teaspoon of curry powder, a teaspoon of tomato paste & stir well. Use 2 tablespoons of Chinese Curry paste & 250ml of hot water mix well and add to the pan. Sprinkle Knorr cube or all purpose seasoning & leave to simmer for 10 minutes. 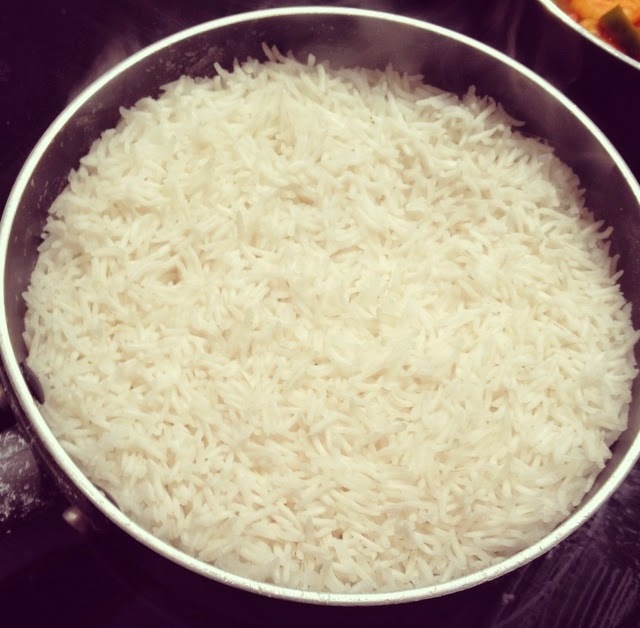 – Wash Basimati rice under cold water, leave to sit for 5 minutes ( This makes it fluffier) ;). – Sprinkle Garlic powder, and salt. Praws, curry and peppers : perfect match! This meal looks soyummy (as I told you several times on IG lol). My mother and I love to add butter to our rice but we prefer ghee instead of butter as it has even more taste! Have u ever tried it? I absolutely love the food you cook! 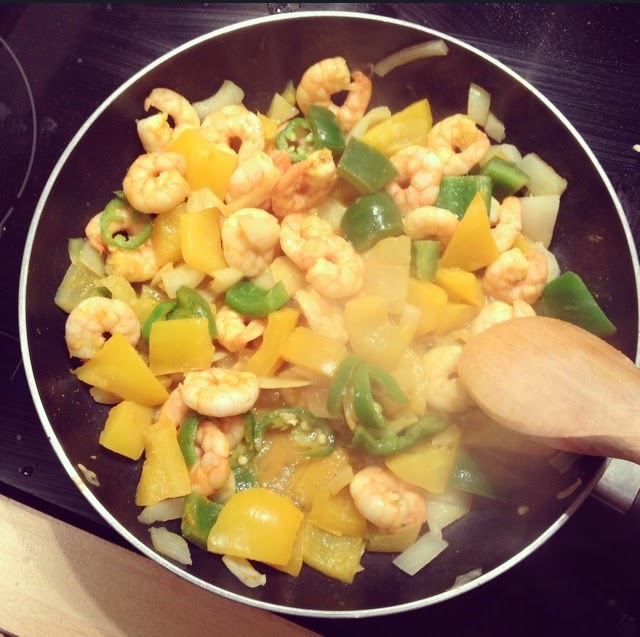 SO yummy looking…..and really quick!! This looks awesome!! I’m allergic to shrimp so I’ll just substitute it with chicken! Hey I live ur cooking I’m such a big fan of urs !! It just amazes me how u mix cultura to different sensations and just make a nice finger licking dish out if it ( you are so amazingly cool) anyways keep doin what u doing because it’s majoring people learn abut more about cultures.